For a lot of us, high school was a decade or more ago. Also, it probably had a lot fewer ninjas than we'd really hoped there would be. But for 30 years, Ninja High School, the comic, has been our own fantasy high school, where there's ninjas all over. 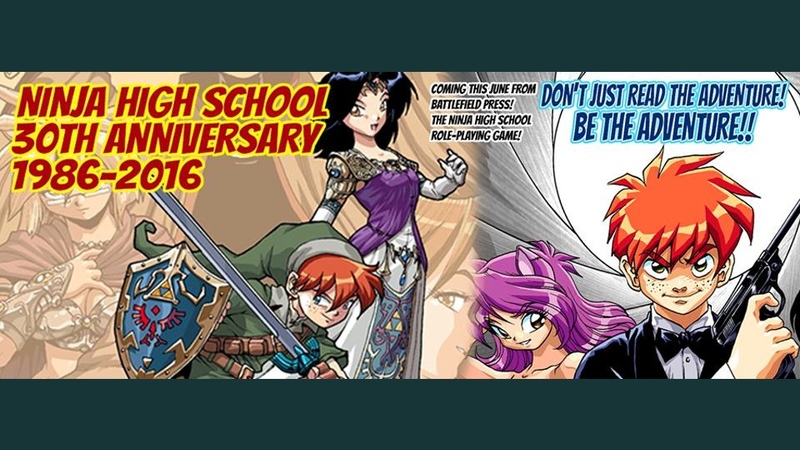 Well, we couldn't make our own high school that cool, but now you can step into the world of Ninja High School via an RPG that's up on Kickstarter. The game uses a D6 system that is used in such other games as D6 Fantasy and D6 Adventure from West End Games. So if you've played either of those, you already know how the game will run. Build your own character either from scratch or using one of six archetypes like student, teacher, genius, gun bunny, and (of course) ninja. There's also rules for many of the major characters from the series, so you can use them as well. The campaign's made more than 2x their funding goal. There's only 4 days left to go, though. So if you want to join in, you'd better hurry.